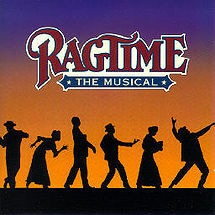 Ragtime is not only a powerful portrait of life in turn-of-the-century America, but a relevant tale for today. The musical intertwines the stories of three extraordinary families, as they confront history’s timeless contradictions of wealth and poverty, freedom and prejudice, hope and despair, and what it means to live in America. The Tony-winning score by Lynn Ahrens and Stephen Flaherty is just as diverse as the melting pot of America itself. It draws upon many musical styles from the ragtime rhythms of Harlem and Tin Pan Alley to the klezmer of the Lower East Side, from bold brass band marches to delicate waltzes, from up-tempo banjo tunes to period parlor songs and expansive anthems. All auditions will be held at the Florence Little Theatre, 417 South Dargan Street, Florence. Prior experience is not required and all audition materials will be provided.